We create professional invoices very quickly. You can do it on your office computer or on your smartphone while on the go. Select a client and we will automatically list all incurred costs. If you choose a specific time interval or enter a project name in the search box, you will accelerate the searching process. We want to make project invoicing as easy as possible and help you get the outstanding receivables faster. 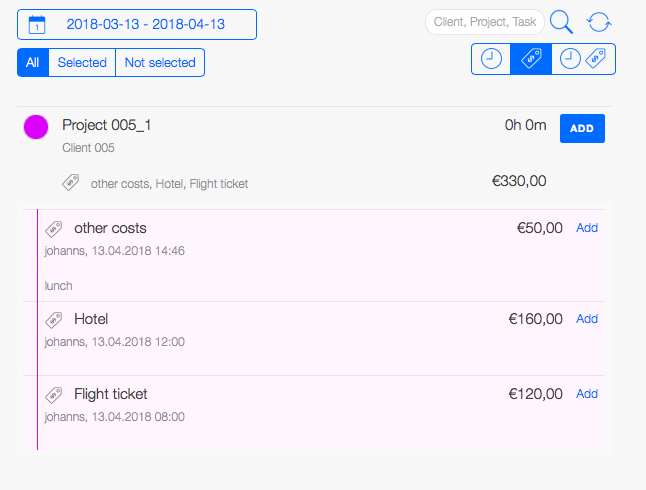 Putting travel expenses in an invoice is just as easy as project invoicing. You just have to filter the projects by expenses and add them to the invoice. If necessary, adjust the layout and done! You can now send out the invoice, lean back and wait for the outstanding receivables! You don’t even have to be in the office to finish it. 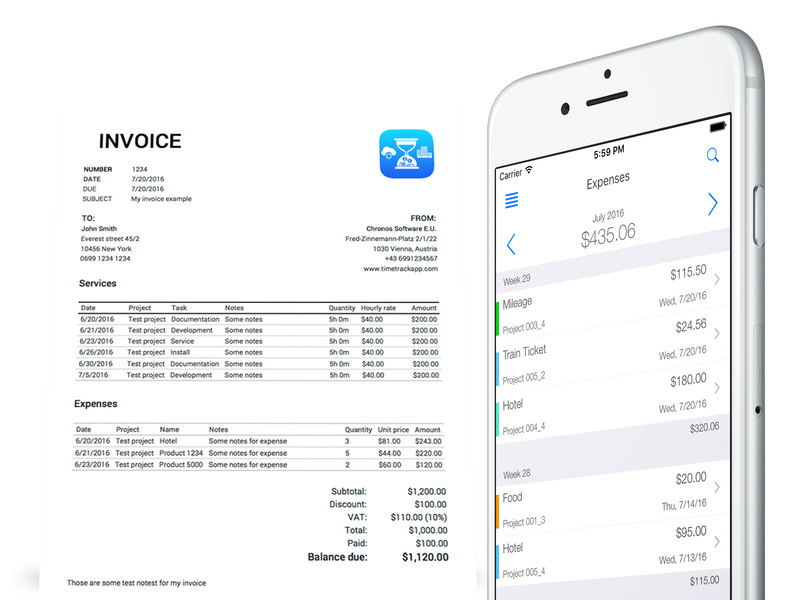 You can do the project invoicing while on the go, directly on your smartphone. Visualize the result immediately. Could not find the right layout? Our web app offers more than 50 additional settings for your invoices. You can change the logo, the layout, fields and much more. 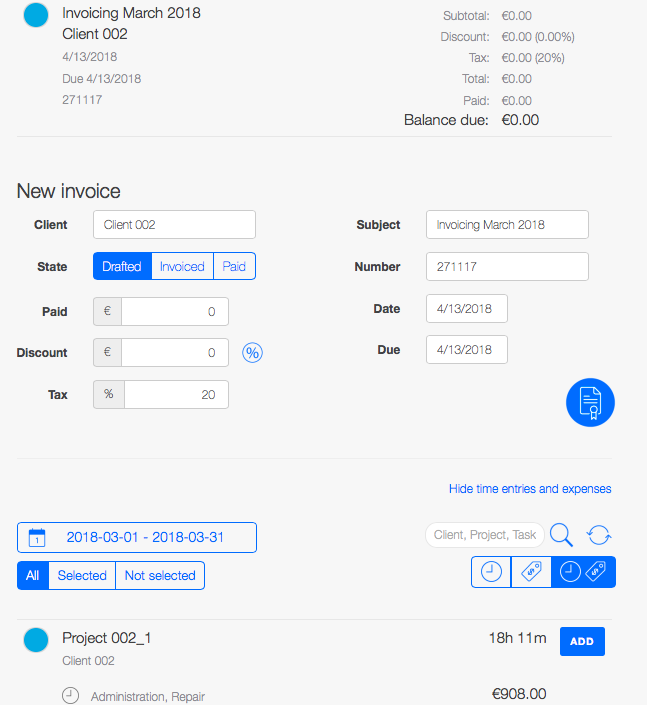 Project invoicing has never been so easy! 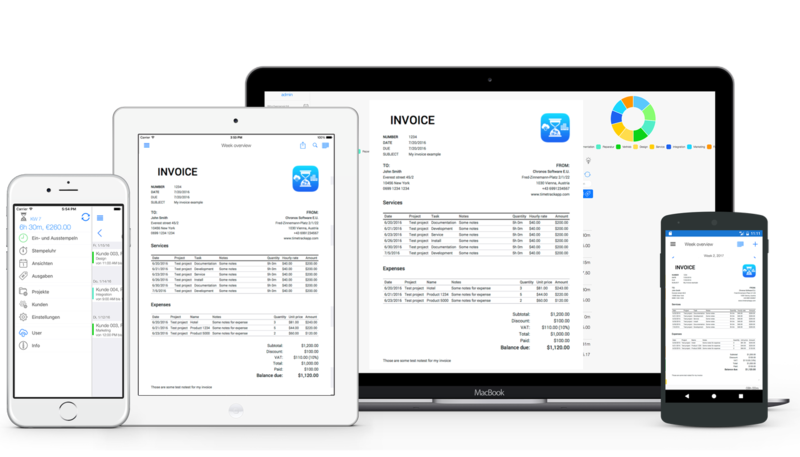 TimeTrack creates quickly professional invoices. You don’t have to do it in the office, it also works on your smartphone. You can visualize results instantly and change the layout if necessary.